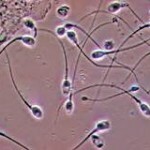 The Friday File: Between 1973 and 2011, sperm concentration in males in North America, Europe, Australia, and New Zealand (where more and better data are available) declined by between 52% and 59%, depending on the method of measurement; don’t ask. Moreover, the decline doesn’t seem to be slowing. Possible explanations for this disturbing trend include obesity, tobacco, stress, but more likely exposure in utero to endocrine disrupting chemicals like pesticides.